Experience the ultimate bucket list adventure can embark on a lavish, no-expense spared journey of discovery in August 2020. With an utterly incredible adventure which criss-crosses continents, retraces historic routes and does it all in sublime luxury. Lasting 51 days in total, visiting 7 countries on 3 continents, this worldwide adventure begins from any capital city in Australia and with flights back from the USA, with all flights, cruises, accommodation and most meals included. A trip fit for royalty, the Ultimate Bucket List Round the World adventure is a project of a lifetime, designed by the expedition cruise and rail specialists. 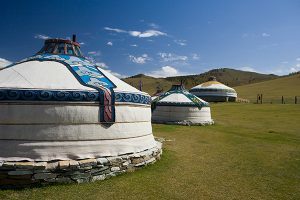 The $79,999 trip features two of the most sought-after ‘bucket list’ travel experiences; a journey aboard the iconic trans-Siberian railway from Vladivostok to Moscow and St Petersburg by private train plus a luxury expedition cruise through the legendary, north-west Arctic passage in the wake of the Franklin expedition. 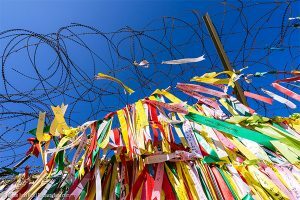 The itinerary for this adventure also includes a three-day stopover in South Korea’s capital city Seoul, with a tour of the notorious demilitarised zone between the Koreas, a three-night St Petersburg add-on including tours of the Hermitage, Catherine and Alexander Palaces plus a three-day stopover in Paris including a tour of the Royal Palace of Versailles. Guests will also enjoy a trip on the Coast Starlight from Seattle to Los Angeles and finish with a three-night stay at the legendary 5* Lowes Hotel in Santa Monica. Living up to its name, the Ultimate Bucket List is one of the most luxurious, adventurous and exclusive travel packages available on the planet. For those looking to take on just part of their bucket list, the amazing North-West Passage cruise and Golden Eagle trans-Siberian trips can both be booked separately through Flower Travel. All flights as set out in itinerary with Australia – Seoul – Vladivostok and San Francisco – Seoul – Australia in business class with Korean Airlines. St Petersburg to Paris with Finnair (via Helsinki) in economy. 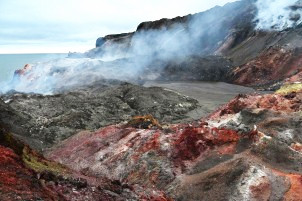 Paris to Kangerlussuaq and Nome to Seattle by private charter. 19 August – Yekaterinburg, where Asia and Europe meet. 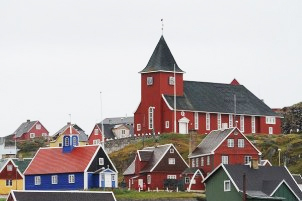 29 August – Sisimiut, largest town in Greenland. 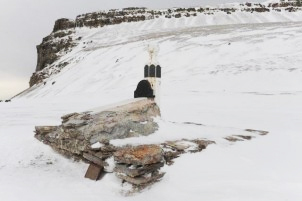 17 September – Inalik and Little Diomede, heart of the Bering Sea between Russia and Alaska. On arrival in Seoul you will be met by our airport representative and transferred by private air conditioned car to you hotel. Once check in procedures are complete, at a pre-arranged time with your guide, you will be collected from your hotel lobby to commence your afternoon sightseeing tour of Seoul. Your 1st visit this afternoon is to visit Myeong-dong, a popular shopping district of Seoul featuring mid-to-high priced retail stores and international brand outlets, including Lacoste, Bulgari and Louis Vuitton. Continuing on the shopping theme the next visit is to Namdaemun Market. 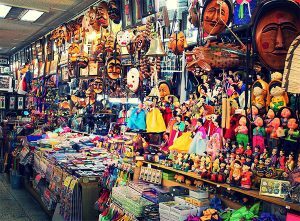 The oldest and largest market in South Korea after dark it comes alive and is a must visit for those searching for a good value for money bargain. At the end of the night return to your hotel by private air conditioned vehicle. Vladivostok is a military port located on the western shores of the Sea of Japan and is home to the Russian Navy’s Pacific Fleet. Due to its military importance, the city was closed to foreigners between 1930 and 1992. Vladivostok (literally translated as ‘Ruler of the East’) offers visitors an interesting opportunity to explore its principal military attractions including a visit to a preserved World War Two submarine. Our city tour will also take us to the iconic suspension bridge over Golden Horn Bay, one of the largest of its kind worldwide, which opened in 2012 for the APEC conference. Following a champagne reception at Vladivostok Railway Station, and with a military band playing on the platform, we will board the Golden Eagle Trans-Siberian Express. After settling into our modern, stylish cabins we enjoy dinner in the restaurant car as our rail adventure westwards begins. Located next to the station we will pass the monument to Yerofey Pavlovich Khabarov, the Far East explorer the city is named after, and see the impressive World War Two memorial to the fallen soldiers. We will also have time at the Regional Museum where the local history has been well-preserved with a rich collection of artefacts describing the cultural and natural history of the region. Our journey today follows the Shilka and Amur rivers, close to the Chinese border. Enjoy Russia at its most beautiful and remote, as the landscape unfolds outside your window. Or you may like to attend one of the absorbing lectures or Russian language lessons. For those who like to socialise, the Bar Lounge Car is the perfect place to enjoy a chat with your fellow passengers as you listen to our resident musician. Few natural sights can surpass the beauty and grandeur of Lake Baikal, a major highlight on our Trans-Siberian journey. Lake Baikal is the deepest lake in the world and holds 20 per cent of the world’s freshwater. Also known as the ‘Pearl of Siberia’, it is home to a unique breed of freshwater seal and over 50 species of fish including omul. For five hours we wind our way through tunnels along cliff hugging tracks above the lake. With a vista of snow-capped peaks along the far shore forming a picture-perfect backdrop, we gain a full appreciation of the engineering achievement which produced this part of the railway in the early twentieth century. To add to the grandeur of the day our Golden Eagle train will be hauled by a Soviet Era steam locomotive on this beautiful section of line. There will be plenty of opportunities to take photographs as the train winds its way along the lake. This will be an unforgettable part of your journey. 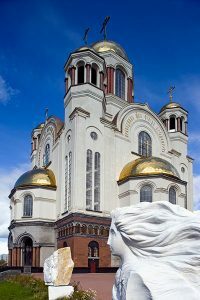 Our visit to Irkutsk, the ‘Paris of Siberia’, takes in the most significant sites and museums in this fascinating city, including an exploration of the classic wooden architecture with its intricately carved lace-like decorations that has given many of this region’s buildings such a distinctive and unique appearance. We also visit the Volkonsky House Museum, which is dedicated to the memory of the aristocrats who were exiled to this remote outpost after the failed Decembrists uprising of 1825. 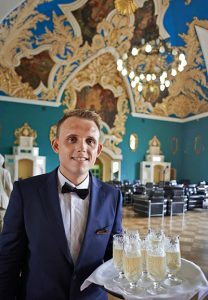 We recreate the atmosphere of that time with a champagne reception and private concert. You could learn to cook some traditional Russian dishes with a local chef and prepare your own lunch with our Freedom of Choice option. Or you might also wish to visit a traditional Russian Dacha (summer house) to get an insight into the everyday life of an average Russian family. A modern ‘Soviet’ city, we experience the life and character of Novosibirsk’s rich culture where the arts and science predominate. The city is located in the heart of Russia and is situated on both banks of the River Ob. Our city tour takes us to Lenin Square where the imposing Opera House is located. An architectural marvel, it houses two permanent ballet and opera companies and is one of the largest opera houses in the world. In front of the Opera House, we visit an impressive statue of Lenin – a marvellous opportunity to have your photograph taken with this iconic political leader. Time permitting, south of the city we will visit Novosibirsk’s excellent Railway Museum. The museum displays locomotives and rolling stock from the late 1800s, including carriages of the Tsars, through to the Soviet era. Alternatively, as part of our Freedom of Choice programme choose to visit the Mineralogical Centre with its fine display of Siberian minerals. Following breakfast, any free time can be spent exploring this rapidly evolving city. It is possible that we will visit The Kremlin this morning. At the conclusion of your time here, you will be transferred to Moscow railway station for your fast train (Sapsan) journey to St Petersburg – the former capital of imperial Russia. On arrival at St Petersburg Railway Station your transfer will be waiting for you on the platform. Private car transfer to your centrally located hotel. Driver only service. Check in to Kempinski Hotel Moika 22. This 5-star hotel in St Petersburg overlooks the Palace Square and the State Hermitage Museum. It offers free Wi-Fi. 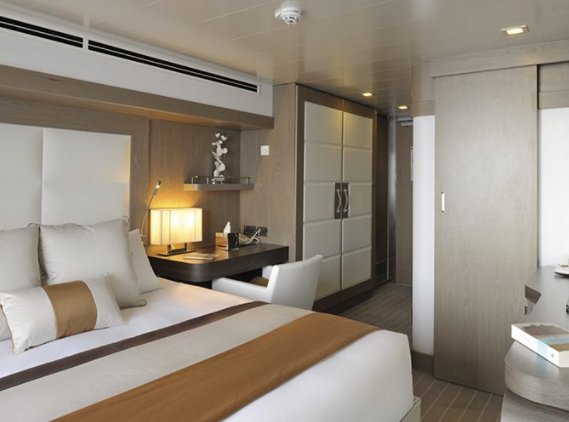 Furnished with antiques, the rooms are decorated in classic marine style with white and gold accents, and come with a flat-screen TV, air conditioner, minibar, en suite bathrooms with heated floors, and fine bathroom amenities. The Kempinski Hotel also features a spa. Guests can enjoy a range of massages. The Kempinksi is a 2-minute walk from the Nevsky Prospect and is near Saint Petersburg shops and restaurants. Meet your English-speaking guide at the base of Alexander Column in the heart of Palace Square. Your guide will have the Hermitage Museum tickets already purchased. Enjoy a 4-hour guided tour of the Hermitage Museum complex. The largest museum collection in the world is spread throughout four buildings. The overwhelming richness of the museum is all the more enhanced by the incredible splendor of the buildings, inside and out: ornate and regal facades, huge frescoed halls; marble, wood and mosaic floors; and statuettes, figurines, and antique furniture all on such a grand scale that it fascinates the mind. The Hermitage houses a tremendous collection of Western European art, including such masters as Leonardo da Vinci and Raphael. Its collection of Spanish art may be compared only with that in Prado Museum in Madrid; the collection of French art is the largest outside France, displaying works by Degas, Renoir, Cezanne, Monet, Van Gogh, Goguen and Matisse. You will be met in the hotel reception by your English-speaking guide and transferred by car to Catherine Palace. Enjoy a 4-hour guided tour of Catherine Palace. Entrance fees included. Catherine’s Palace is located 25 km south of St. Petersburg in the town of Pushkin originally called Tsarskoye Selo. It was named after Peter the Great’s wife Catherine I and gained a truly regal appearance in 1752. Constructed according to the design of the famous Italian architect Bartholomew Rastrelli, the palace is considered to be the pearl of Russian Baroque style of the XVIII century. 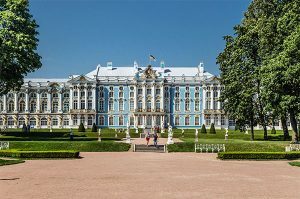 Built as a summer residence of Russian Tsars, this place was loved by Elizabeth I, Catherine the Great, Alexander I and especially by Nicholas II, the last Russian monarch. The palace, a combination of blue, white and gold, looks magnificent. A huge breath-taking ballroom called the Throne Hall, the famous Amber Room, ornately decorated drawing and dining rooms leave unforgettable impressions. The most famous room here is the Amber Room, the walls of which were covered with amber panels given to Peter I by Friedrich Wilhelm of Prussia and looted by Nazis during World War II. The Amber room was completely restored in 2003. Surrounding the palace is a park covering more than 570 hectares with bridges, terraces, fountains and small galleries. Close to Catherine’s Palace on the grounds of Alexandria Park there is one more palace – the Alexander Palace. The palace houses the exhibition “Nicholas & Alexandra” featuring the dramatic fate of the last Romanovs. You will be met in the hotel reception and transferred by private vehicle to St Petersburg Airport for your onward flight. Airport transfers depart from Charles de Gaulle Airport for your hotel, Paris Marriott Rive Gauche Hotel. With a stay at Marriot Rive Gauche Hotel in Paris (14th Arrondissement), you’ll be conveniently located to Paris Caracombs and Notre Dame Cathedral. 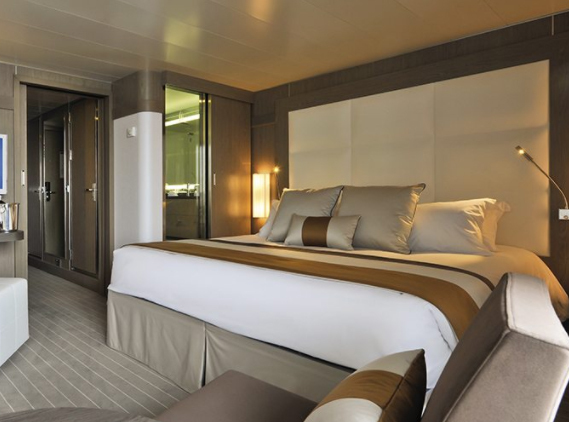 This 4 star hotel is close to Eiffel Tower and Galeries Lafayette. After breakfast, depart of your half-day tour with your own private driver, where you will discover the famous attractions and rich heritage of Paris in the best conditions on a. You will see landmarks like Notre-Dame Cathedral, Opéra Garnier, and Champs-Elysées; neighborhoods such as the Latin Quarter; and several secret places little-known by most visitors. Your Paris tour starts with hotel pickup by your private driver, who takes you along the best route to admire the top monuments of the city. This tour also unveils charming places hidden from most visitors and provides the opportunity to experience the passion of the city, its history, and its residents. After breakfast, depart on a tour of Versailles Palace & Garden. On this Versailles half day tour with skip the line tickets, you'll feel like royalty as our passionate tour guide escorts you from Paris to Versailles by train, then helps you understand exactly what it was like to be a French king or queen in 17th century France. The tour is 3 hours long, including the time spent traveling with our guide from Paris to Versailles and a two hour guided tour of the palace and gardens. The Palace of Versailles and gardens are a breathtaking product of 17th century France. It is considered a UNESCO World Heritage site and a protected piece of French and royal history. The Hall of Mirrors is the most famous room in the palace, running almost 70 yards long and adorned with 357 mirrors. Also, the Treaty of Versailles was signed in the Hall of Mirrors on 28 June 1919, ending the First World War. Every room has its own story to tell, and our tour guides are thrilled to share as many as possible as you make your way throughout the palace. With over 2,000 rooms in the palace, our guided tour is the best way to cover the most magnificent and important rooms, maximizing your time at the palace. 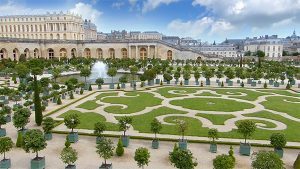 After touring the palace, explore the magical formal gardens of Versailles.. After an introduction to the gardens you are then free to explore on your own, or simply find a place to relax in the sun. Airport transfers depart from your hotel to Charles de Gaulle Airport for your flight to Kangerlussuaq. A key stage in the North West Passage, the Bellot Strait, crossed by strong currents, promises you an unforgettable sailing experience. The entrance to the strait is dominated by the Ross Cairn. The buildings of Fort Ross also stand not far from here. Separating Somerset Island from the Boothia Peninsula, this 2-km-wide strait was discovered in 1852 by Captain William Kennedy of the Royal Navy, and the Frenchman Joseph-René Bellot, during an expedition in search of Sir John Franklin. 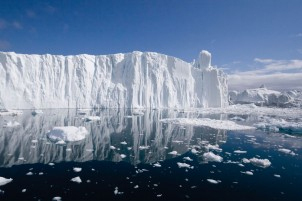 Discover a magnificent décor covered in snow, fragmented by large ice floes. As you sail between them, your ship will perhaps be accompanied by an icebreaker… and a few polar bears.ice sheet, the largest body of ice in the Northern Hemisphere. 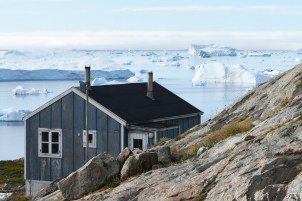 From Kangerlussuaq, admire also the superb landscapes of tundra in autumnal colours, where Arctic hares, musk oxen, Arctic foxes, reindeer, falcons and eagles live. 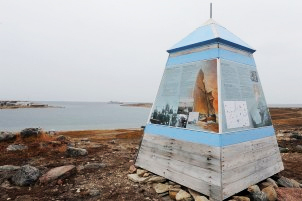 The only settlement on King William Island – it was started in 1927 as a Hudson’s Bay Company trading outpost. In 1941 Henry Larsen reached the post from the west. 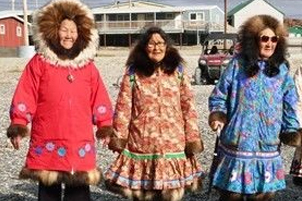 The settlement has attracted the traditionally nomadic Inuit people as they have adapted a more settled lifestyle. Fall under the charm of small and uninhabited Edinburgh Island. Blueberries, crowberries, arctic willow, cranberries: vegetation rules the roost here, with no fewer than 19 types of dwarf shrubs, berries and flowers identified. In autumn, these species are adorned with shimmering colours that produce a magnificent picture. The tundra, dotted with red and yellow touches, competes in its beauty with the superb ochres of the sandy beaches and the dark tones of the surrounding cliffs. At the end of a walk towards the heights of the island, enjoy a superb panorama with a view over lakes, sea and basalt mountains. 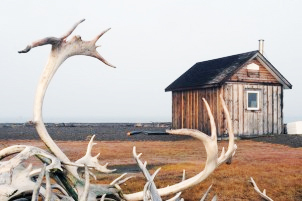 An enchanting place, frequented by caribous, peregrine falcons, reindeer, Arctic foxes and hares. 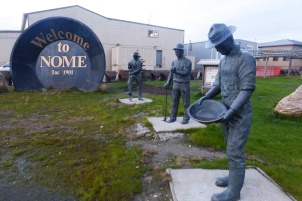 Disembarkation in Nome at 08H00. Nome – Seattle (flight) Arrival into Seattle. Transfer to your hotel, located in the heart of downtown Seattle. Discover the many facets of the Emerald City as you tour the downtown business and shopping district, historic Pioneer Square, Pike Place Market, and the vibrant Chinatown-International District. Overnight Seattle. Arrive at Seattle's King Street Station for your morning departure. 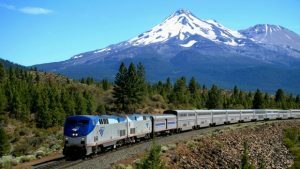 Once onboard the famous Coast Starlight, settle into your seat as you begin your 1400 mile journey to Los Angeles. 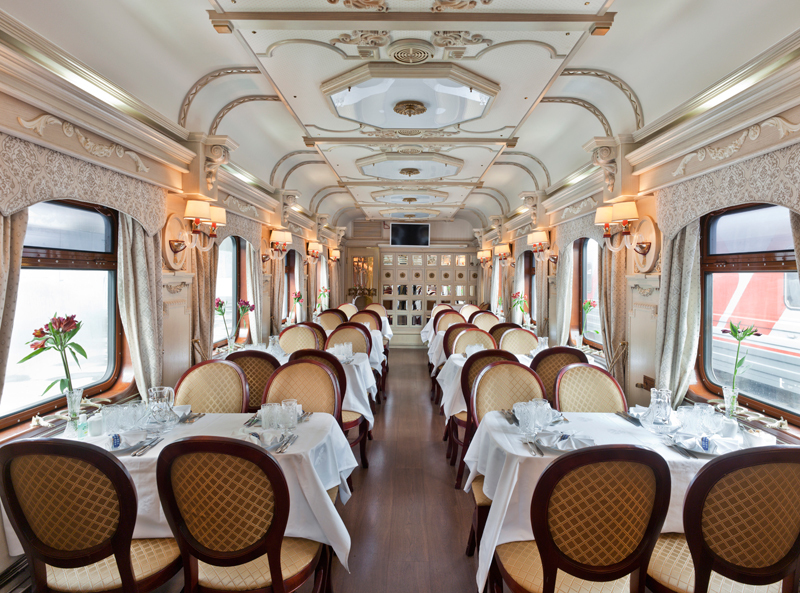 After settling in, you may want to visit the Pacific Parlour Car which is used as the exclusive lounge for Sleeping Car Passengers. Enjoy dinner in the Dining Car as you pass Three Sisters Mountains. All meals on the train are included for sleeping car occupants. Departs daily from Seattle, Washington: 9:45AM*. Overnight train. This morning wake up outside of San Francisco. Enjoy your breakfast in the dining car as the Coast Starlight hugs the California Coast. Continue to take in the awe-inspiring scenery through late afternoon. 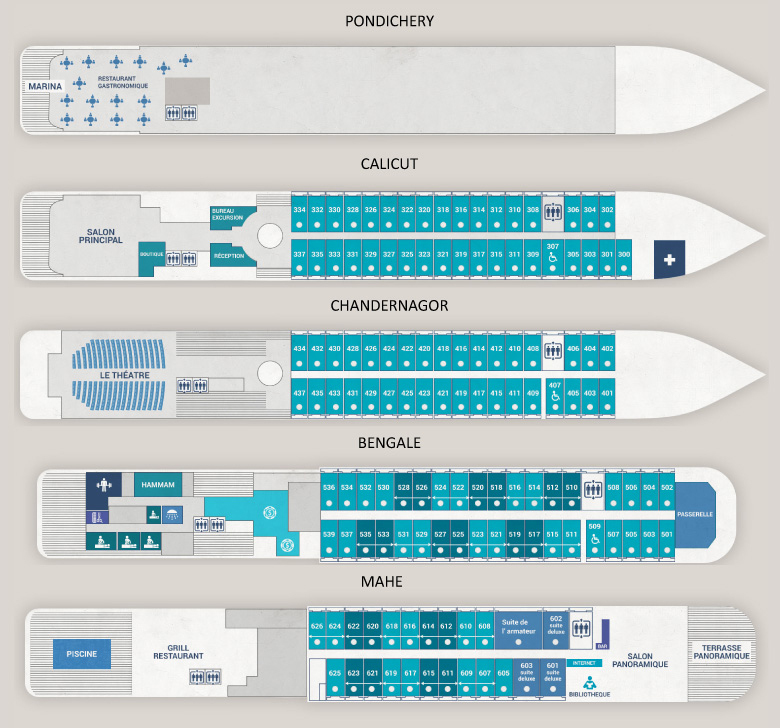 On board, you will enjoy lunch and dinner. Arrival LA at approximately 9pm. Independent transfer to Lowes Santa Monica. Return flight back to Australia. Sections of the trip can be booked individually including the Golden Eagle Luxury Train ( 8 August – 22 August) and the North-West Passage Expedition cruise (28 August – 19 September)– apply for details. Prices correct as at 1 November 2018 and valid for bookings made and deposited by 31 December 2018. 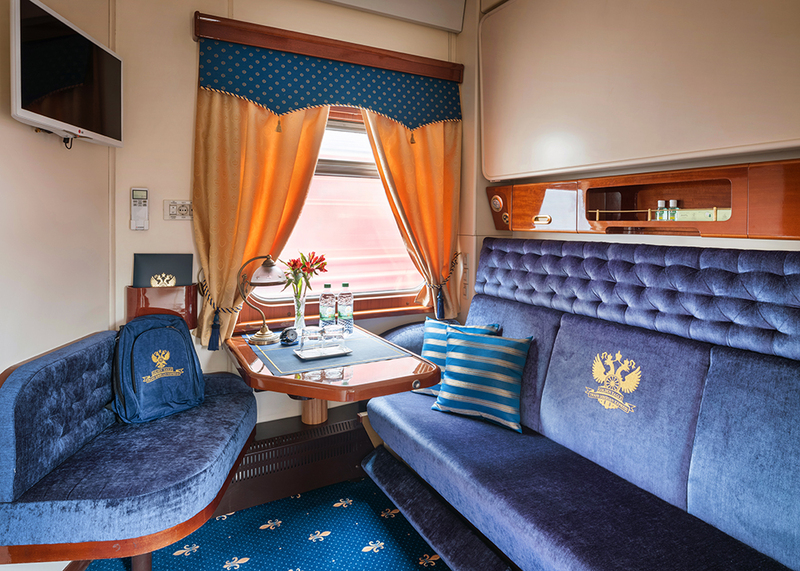 Golden Eagle Luxury Train price is based on tour price of US$21595 per person which currently equates to AU$30498 pp. Note this component of the trip will vary in price in line with exchange rates until final payment is made. A full breakdown of individual tour costs will be provided at time of booking. Hotels listed on the itinerary may, for operational reasons, be substituted for alternatives of equal or better standard. To make a booking we would require a scan copy of all passengers’ passports. A non refundable deposit required within 7 days of booking – $18500 per person. Final payment due no later than 1 April 2020. Note that airline ticketing limits may require additional payments at an earlier stage. Payment can be made by cheque or bank transfer. Credit cards accepted subject to the following surcharges – Visa and Master Card 1.8%, Amex 2.75%. Credit card surcharge waived for deposit payment. 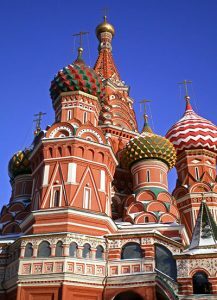 Australian and New Zealand passport holders require visas for Russia and Mongolia. Full supporting documentation will be supplied to assist clients in obtaining these visas and we also offer a ‘done for you’ visa service at an additional charge. An ESTA is required for travel to the US. Passports should be valid for at least 6 months beyond intended duration of trip. Only fancy part of the trip? Sections of the trip can be booked individually inlcuding the Golden Eagle Luxury Train ( 8 August – 22 August) and the North-West Passage Expedtion cruise (28 August – 19 September)– apply for details. Alternative flight options available at a cost difference– apply for details Full terms and conditions for Golden Eagle Luxury Train booking.